Sometimes I sense that we take ourselves a little too seriously. When that occurs, the Tequila Whisperer is the perfect tonic. 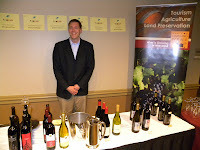 Wineries Unlimited trade show relocates to Richmond, Virginia in 2011. We just finished the Twitter Taste-off where participants tweeted about wines they just tasted. The premier wineries from Virginia and Maryland were pouring and even more importantly the winemaker\proprietor was available to discuss their products. Each winery poured a red and a white and not surprisingly Viognier was a common white varietal. There were also a couple Chardonnay, the Chrysalis Vineyards Albarino, the Ingleside Vineyards Pinot Grigio, and the Lovingston Winery Petit Mangseng - but in general it was a Viognier face-off. And yes, Virginia makes a mean Viognier. Many we tasted were old favorites, but for the first time we sampled versions from Pollak Vineyards, Barboursville Vineyards, and the Michael Shaps Virginia Wineworks. In fact Shaps has been making Viognier way before it became standard among VA wineries. They were all very nice. The selection of red wines was much more disparate. Some 100% varietals, but also many blends. Some Cabernet Franc, but also many Petite Verdot and Merlot. Sunset Hills Vineyard & Winery bucked the trend suggested in an earlier seminar and poured a Cabernet Sauvignon. Proprietor Mike Canney believes it works for their vineyard since the grape must struggle in the acidic soil. They also limit planting and prune excessively. So perhaps it works in selected vineyards, but not as a general rule. And as expected Jennifer McCloud was pouring the Chrysalis Vineyards Locksley Reserve Norton and Breaux Vineyards, their awesome 2002 Reserve Merlot. As much as we like single varietals, I think its the blends we prefer. The Barboursville Vineyards Octogon is always a favorite; Keswick Vineyards and Jefferson Vineyards poured nice Meritages as did Williamsburg Winery with their Adagio. There was a smaller sample of Maryland wines. Black Ankle Vineyards continues to impress - their Syrah was very popular. Sugarloaf Mountain Vineyard has always been a favorite destination of ours their wines make the trip worthwhile. Unfortunately we didn't get around to the other MD wines but will catch up with Kevin Atticks of Maryland Wine to hear more about the state's wine industry. After tasting each wine, attendees were required to select a favorite white, red, and overall favorite. The latter was split so that members of the media chose the Media Favorite and the general public selected a People's Choice. The best White Wine was awarded to Chrysalis Vineyards for their Albarino - which shows that esoteric vinifera wines can thrive in Virginia. Hat's off to Jennifer McCloud for planting the grape and producing a 100% varietal. The best Red Wine was awarded to Breaux Vineyards for their 2002 Reserve Merlot. This wine is silky smooth. It was apparent that the media weighed heavily in these last awards, because the Michael Shaps Virginia Wineworks Viognier was awarded the Peoples Choice - no complaints here. Shaps also crafts an authentic Cabernet Franc. The overall Media Choice: Breaux Vineyards 2002 Reserve Merlot. And after another glass at dinner that evening - a very respectable decision. More photos are available at CompassTours and Facebook. If local food, why not local wine? The panel started with an introduction for the panelists; Todd Kliman, Washingtonian Magazine, author, "The Wild Vine: A Forgotten Grape and the Untold Story of American Wine"; Andrew Stover, Chef Wino - a chef who travels to write about local wines; and Mary Watson-DeLauder, Lansdowne Resort, northern Virginia wine and cooking expert. Mr. Kliman started by stating that local wine is not really an option in Washington D.C. The restaurants take the view that Virginia wines are exotic - like Hungary or South Africa. The restaurants will use locally grown food - but not the wine. They need sommeliers like Andrew and Mary, but refuse to hire non-tradition sommeliers. Mr. Stover agreed with many of Kliman's points. Stover "pimps" wines from Idaho, Colorado, Arizona - but other restaurants don't push local wines because their clientele don't care. Recommends The Boulevard Woodgrill which has an all domestic wine menu. Younger audience is willing to dry new wines and will buy local wines. Mary started by making several suggestions to wineries pushing their wines. Basically do you homework. Know their menu so you can suggest wine pairing. Satellite tasting rooms in more urban areas are another option. The conversation turned to distribution and the cut taken by the 3 tier system. Jenny McCloud stated that she won't use a distribute since her margin is slow low. Jordan Harris from Tarara Vineyard & Winery stated that they are pushing distribution channels since they won't to gain more market share. Mike Wangbricker mentioned that selling Virginia wines requires a large effort by distributors so they don't bother. Jim Corcoran commented that Virginia now allows 3,000 cases of self distribution. Kliman - people who frequent white tablecloth restaurants purchase wine to impress, not to experiment. Very good point about bringing chefs out to the wineries - let them know the stories of the wineries. Also, many Virginia wines are overpriced - Virginia makes to make more good well priced properly. If local food, why not local wine? 1 p.m.-2 p.m. Moderator: Dave McIntyre, Washington Post. Panelists: Mary Watson-DeLauder, Lansdowne Resort; Andrew Stover, Chef Wino; Todd Kliman, Washingtonian magazine. This was an interesting panel; Jeff Siegel, the Wine Curmudgeon - social media will replace the traditional gate keepers. Lenn Thompson, New York Cork Report feels the gatekeepers will not go away - but bloggers will fill in the blanks. Readers do not want to be bond by the rules from Wine Spectator - want to find a conversation about local\regional wine. Jennifer Breaux Blosser, Breaux Vineyards knows that the gatekeepers won't give local wineries the time of day - and then usually bad criticism. With social media - people have chosen to engage. Social media is the #1 priority for marketing and engaging with customers. Good comment from Cathy Harding from C-Ville Magazine that the publications that are flourishing are those that deal with local content. The discussion also turned to the legitimacy in wine bloggers. Lenn made the point that wineries should get to know and actually read the blogs in order to separate those that are serious and those who just want free samples. David Falchek commented that its difficult to tell if a blogger has a self-interest motive in writing about a wine or winery. Mike Wangbicker commented that all bloggers should have an About Me page to discuss their background. Then to content - don't post about your dog unless your winery is based from dogs. Don't tell us about when you last went to the bathroom. Siegel gave the great point that wineries need to provide the fun information about the wine. The Story sells the wine. Customers don't care about the tech sheet. Why are your wines different? Jennifer at Breaux Vineyards does a great job educating and making customers interested. 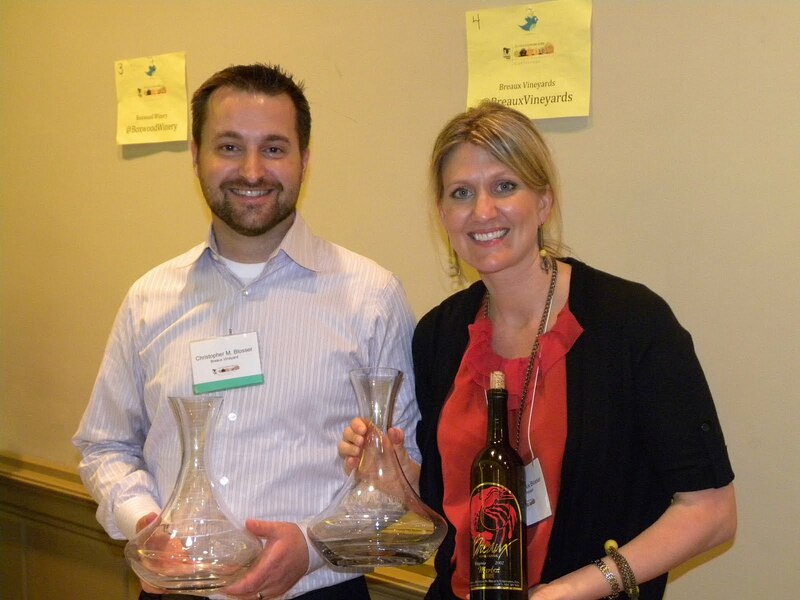 Wineries can also engage with Facebook and Twitter followers to participate in Face to Face or Tweet Up events. Social meeting also increases sales - tasting room attendance increased, sales from Breaux have increased. Social media: How regional wineries can get the word out: 10:15 a.m.-11:15 a.m. Moderator: Michael Wangbicker DWS, CWE. Panelists: Lenn Thompson, New York Cork Report; Jennifer Breaux Blosser, Breaux Vineyards; Jeff Siegel, the Wine Curmudgeon. Panelists: Matthew Meyert, Williamsburg Winery; Jennifer McCloud, Chrysalis Vineyards; and Matthieu Finot, King Family Vineyards discussed which grapes do best in Virginia. For vinifera all agreed that Cabernet Sauvignon does not do well in the state. On the other and Cabernet Franc grows well as long as the vineyard manager knows how to nurture it. All agreed that Merlot grows very well in the state - although Ms. McCloud made the point why make the 400th best Merlot and try to make the best of other grapes. The esoteric grapes do best - Viogner, Albarino, Petit Menseng for whites; Petit Verdot, Malbec, and Tannat for reds. Of course Ms. McCloud also discussed the Norton grape. Thomas Jefferson was right: The grapes that work best for Virginia: 9:15 a.m.-10:15 a.m. Moderator: Richard Leahy, Vineyard & Winery Management magazine. Panelists: Matthew Meyert, Williamsburg Winery; Jennifer McCloud, Chrysalis Vineyards; and Matthieu Finot, King Family Vineyards. Starting early with this panel. These winemakers will discuss the native, hybrid, and viniferia varieties that work best in the state. Virginia Allows Tasting of Spirits? As the U.S. Congress works feverishly to ban the direct sale of wine with H.R. 5034, Virginia is actually liberalizing its liquor laws. For more details, navigate to this Washington Post article; but in general, the state plans to allow consumers to sample spirits in their 330 Alcohol and Beverage Control stores. We will leave the question on why the state operates liquor stores in the first place to a later date, but will applaud this decision. Its about time. Allowing someone to taste a product before forking over $50+ dollars; what a novel concept. Now the state isn't being altruistic about giving consumers more choices. As with most government business, this decision begins and ends with the state's deteriorating fiscal situation. The theory is that consumers will purchase more products and thus pay more in taxes, if they could only sample the product beforehand. Yes, in general, that is true. But so is the reverse; there are several spirits I have purchased only to dislike -- if the tasting option had been available, I would have gone elsewhere. Consumers should benefit from this increased use of market forces; if distributors plan to allow consumers to sample a product, it better be good. We look forward to the date when we can walk into our local Virginia ABC store and sample 1.5 ounces of spirits. For those across the river, don't expect the Puritan Maryland General Assembly to follow suit. "This language means that any state may pass a law that discriminates against out-of-state wine shippers and that the law cannot be challenged in court and therefore invalidated—just as the 2005 Granholm v. Heald Supreme Court decision invalidated laws in New York and Michigan that discriminated. The Granholm Court reasoned that because the states' goals of temperance, an orderly market and tax collection could have been achieved without burdening interstate commerce and discriminating against out-of-state interests, those discriminatory wine shipping laws were unconstitutional violations of the Constitution's Commerce Clause." WineSpectator.com also has a comprehensive review of the bill and the Wine Harlots are also providing licks to Congress so that you can express your displeasure. This should be an appropriate topic for this weekend's DrinkLocalWine conference. 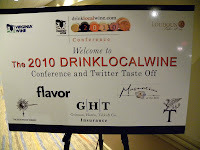 There may be a few of you who are thinking about attending the 2010 DrinkLocalWine.com conference on April 25th, but are not familiar with the Virginia or Maryland wine industry. Both states have industry associations that provide excellent resources for learning more about wine in that state. For Maryland, try the Maryland Wineries Association and particularly their history of Maryland winemaking. For Virginia, besides reading excellent blogs such as My Vine Spot and Anything Wine, try Virginia Wine. This organization also provides this excellent video on the history of Virginia winemaking. Alan Kinne--who began making wine in Virginia in 1979 when there were just 6 wineries in the state, then ventured West to craft award-winning Pinot Noir in Oregon and Zinfandel in California--is returning to his Old Dominion roots. Kinne has agreed to become winemaker at Chrysalis Vineyards. From the late 80s to the late 90s, Kinne had a huge hand in driving Virginia's wine scene. He was a consultant for many wineries in the state, among them Horton Vineyards, Oasis Vineyards, Ingleside Plantation Vineyards, Piedmont Vineyards, Lake Anna Winery, Valhalla Vineyards, and Chrysalis Vineyards, and was widely in demand before heading out west to pursue a number of big opportunities. Chrysalis Vineyards owner Jennifer McCloud first turned to Kinne -- the man who produced the first modern-era Nortons in Virginia, in the early '90s, at Horton Vineyards, not to mention the historic 1993 Horton Viognier, universally acclaimed as the finest Viognier ever made in America -- to teach her the ins and outs of winemaking when she met Kinne at a wine conference in 1995. She founded Chrysalis Vineyards in 1998. Kinne not only made the first bottles of wine that carried the Chrysalis Vineyards label, but he also managed McCloud's vineyards their first year. The pair undertook three separate trips to Spain to research the varietals that thrive in the Spanish climate. Those trips helped to lay the foundation for Chrysalis Vineyards, a winery that seeks to work with and not against the terroir of its estate on the edges of Virginia horse country -- a mission that requires a winemaker to be open to experimenting with lesser-known grapes. Here's a little fun video featuring my favorite artist - Reverend Peyton's Big Damn Band - and their fans with two bottles of wine. 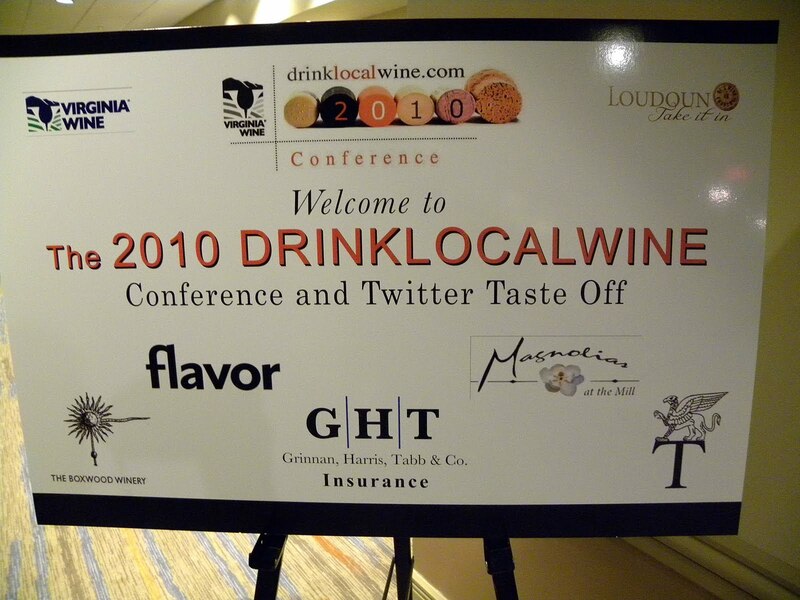 Along with several popular wine bloggers, we will be attending the 2010 DrinkLocalWine.com conference set for Loudoun County, Va. on April 25. Registration is open to the public and will set you back only $65, which includes three seminars, lunch, and the Twitter Taste-off. Plus its held at the famous Lansdowne Resort. Questions? Call (978) 276-9463 or send an email. Wineries from both Virginia and Maryland will be participating including Breaux Vineyards, Chatham Vineyards, Chrysalis Vineyards, Fabbioli Cellars, Ingleside Vineyards, Jefferson Vineyards, Keswick Vineyards, Potomac Point Winery, Rappahannock Cellars, and Veramar Vineyards from Virginia. The Maryland wineries participating are Black Ankle Vineyards, Serpent Ridge Vineyard, Sugarloaf Mountain Vineyard, Elk Run Vineyards, Cygnus Wine Cellars, and Fiore Winery. That's a good representation of the various wineries in the two states and Keswick Vineyards, Rappahannock Cellars, and Black Ankle Vineyards are recent Governor’s Cup winners in their respective states. We hope to see you there. 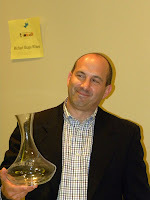 • Social media: How regional wineries can get the word out: 10:15 a.m.-11:15 a.m. Moderator: Michael Wangbicker DWS, CWE. Panelists: Lenn Thompson, New York Cork Report; Jennifer Breaux Blosser, Breaux Vineyards; Jeff Siegel, the Wine Curmudgeon. This week we received another sample of Black Box Wines - your friendly premium-quality box wine company. This time, the varietal was Malbec and it initially clashed with the abnormally high temperatures - would have loved their Sauvignon Blanc instead. All kidding aside, Malbec is one of our favorite varietals and is an increasingly more popular option for winemakers and grape growers here in Virginia. Yet, Argentina is where 100% Malbec has staked its claim and the Black Box Malbec comes from the Mendoza region - the largest wine region in the country. But why does Malbec excel in Argentina? In Bordeaux the grape is used in blends and never as a 100% varietal. Our friend Doug Frost instructed us that great wines come from regions which allow grapes to reach their full maturity during the longest amount of time. For instance, grapes that mature fully in July, but are harvested in September won't make a superior wine. The Argentinian climate apparently allows for that full maturity. The grape's thin skin requires tons of sun and heat plus the necessary fluctuation at night to properly cool the fruit. Add in well drained soil and the threat of rot dissipates. By harvest, the grape has fully matured; Malbec has found a home. The Menoza Argentina Malbec is made dry with a medium body. Its nose contains bits of earth - tobacco and chocolate and the flavor is surprising more blackberry than cherry. There is little acidity which produces a smooth finish - and it became smoother as the wine decants. This is a good wine - very drinkable - particularly considering it comes with the stigma of arriving in a card board vessel. But that box comes with a lot of benefits - the wine stays fresher longer; it can be transported anywhere; and there's a volume discount. The box retails for about $25 and is the equivalent of 4 750ml bottles. So that's the equivalent of $6.25 a bottle. That's a bargain. We did have a couple of other Malbec's open from the previous week; a 2008 Antis Malbec and a Corcoran Vineyards 2008 Malbec. It was difficult to compare the three since they are made in completely different styles. The Antis and Corcoran are more full bodied with the Antis the spiciest of the group. Whereas all three can be consumed immediately, the Antis and Corcoran's have the tannic content to mature with age. 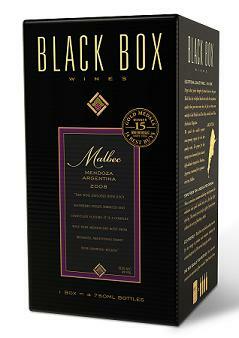 On the other hand, drink the Black Box Malbec now - and unfortunately - the one issue with a boxed wine is that its all too easy to turn on the spigot. We will post the winners of the San Francisco World Spirits Competition shortly, but one outfit that fared well was Republic Tequila, who received medals for three of their organic tequilas. Yes organic, with the Añejo, aged 20 months in charred American Oak barrels, receiving a Gold Medal. Not bad for their first time entering the competition. 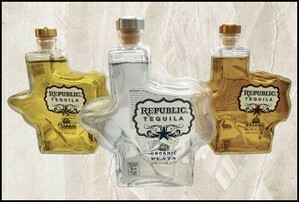 Although Republic Tequila is based out of Austin, Texas; the tequila is actually produced by La Quemada. The blue agave is grown around Arenal, Jalisco, which is located in the Tequila lowlands about twenty-five miles from Guadalajara. During fermentation, the distillery uses natural yeast - that is they open the windows and let nature take over. Sometimes distilleries try to save money during the fermentation process by introducing foreign yeast strains to speed the process. Not with Republic Tequila. After fermentation, the juice is double distilled and then allowed to sit for five days to absorb oxygen - this process creates an even smoother product. At this point some of the tequila is bottled for the white "Plata", the rest sent to the barrel for their Reposado and Añejo. Republic Tequila also provides entertaining videos on how the two co-founders, Tom Nall and Ken MacKenzie, found each other and craft the product. This weekend I stumbled upon the Facebook page for a distillery, right in my backyard, Catoctin Creek Distilling Company. And just two weeks ago I drove right by their distillery without even realizing it. Catoctin Creek produce several spirits, from their Watershed Gin, to Virginia Brandy, to Roundstone Rye and Mosby's Spirit. The later is a white whiskey made from Rye, while the Roundstone Rye is aged in oak for a more traditional whisky. The Brandy is crafted from locally-grown Virginia grapes - plenty of them in Loudoun county. We hope to visit later this spring, but for those who have time this week, they are asking for volunteers for their first whisky bottling for Tuesday and Wednesday 9am - 5pm. I've also included an introductory video released by the distillery. One of our favorite makers of Rose wine is Chateau d’Esclans, located in the Côtes De Provence, Provence, France. The produce several cuvees including our favorites: Whispering Angel, Chateau d’Esclans, and Garrus. To celebrate the 2009 vintage, the winery has produced a marketing video we'd like to share.